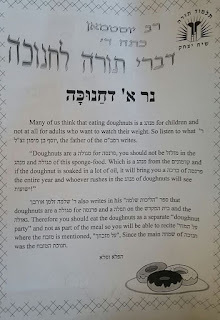 A few days ago, I published a post, The Spectacular Sufganiya Segulah, which discussed a segulah for parnasa, publicized by Rabbanit Yemima Mizrachi and allegedly from Rambam's father, about cooking sufganiyot in oil. As I showed, even if the source text (found in Serid U'Palit) really was from Rambam's father, it says no such thing. All it says is that there is a custom of frying foods in oil as a remembrance of the Chanuka miracle. It turns out that it is not only Rabbanit Yemima Mizrachi spreading this message. Google turned up lots of people saying the same thing. Someone sent me a sheet that was sent home from a rebbe in a Talmud Torah (at right). It includes the same fabricated segula that it claims to be from Rambam's father. But this time it's even more disturbing. 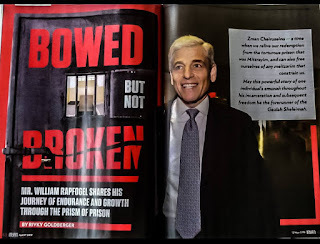 There are quotation marks placed around this completely fabricated text, as though it is actually Rambam's father's words. Even more bizarrely, it is followed by a claim that the same is to be found in Rav Shlomo Zalman Auerbach's work Halichos Shlomo. Yet as you can see in the relevant page of Halichos Shlomo (displayed below), no such statement is to be found. There is absolutely no mention of segulah, parnasah, or anything like that. What is going on here? 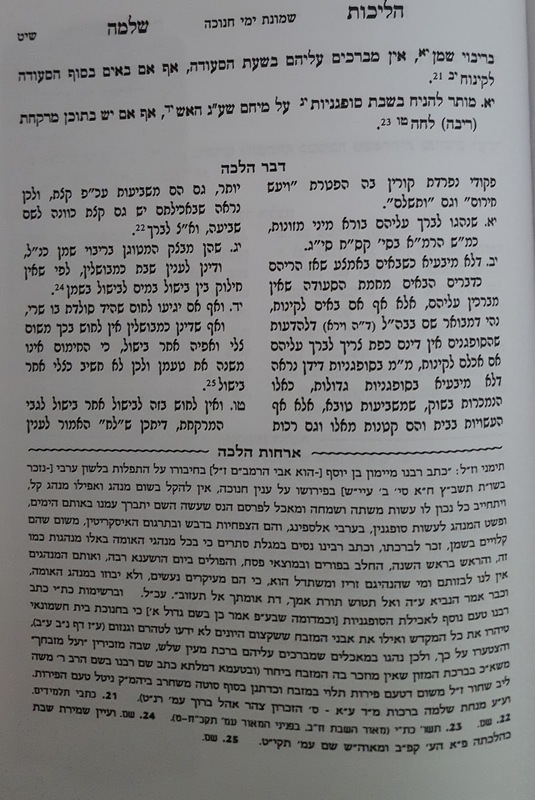 Someone sent me a link to another sefer claiming that this segulah is to be found in Halichos Shlomo and in the writing of Rambam's father, but this one gave a source for the latter: Responsa Yaavetz 1:2. I then found Rabbanit Mizrachi's formal discussion of this segulah, which gave the same source. The problem is that there is no such discussion in Responsa Yaavetz 1:2! So what is going on? 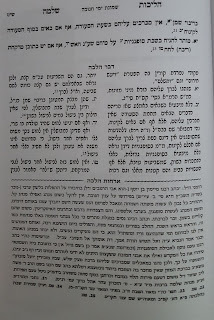 The reference to Yaavetz 1:2 is presumably a mistake, and the intention is to refer to Tashbetz 1:2, which is referenced in Serid HaPalit as making mention of Rambam's father's writings. However, Tashbetz makes no mention at all of sufganiyot or segulos. And what about the claims that Rambam's father and Rav Shlomo Zalman describe frying sufganiyot as being a segulah? These appear to be fabricated out of thin air. But where and how did they start? If anyone has any insights on this, please share! I don't know which is more disturbing - the sheer irrationality of believing that you should fry sufganiyot as a segulah for parnasah, or the widespread relaying of an alleged source that appears to be entirely fabricated! Makes you wonder how naked the Kings really are. I imagine that sufganiyot just referred to fried sweet dough. Not the diabetes inducing extravaganzas of today. Wishing everyone a good shabbos. When the influence of rationalism regresses, primitivity and superstition advances. As well as the fact that we live in a post-truth world. Did the Rebbe who put this together not realize that if the Rambam is Rav Moshe ben Maimon that his father could not possibly be Yosef ben Maimon? That hint was left in there to let you know that this was really a Tevet fool's day joke. Why not? I also have the same last name as my father. I receive this by email in French language on Monday. I replied with a link to your first article ! Modern Chareidism(tm) isn't about Torah Judaism as it is. It's about Torah Judaism as its proponents think it should be. If the Serid HaPalit says that he found the manuscript how could have the Yaavets ever have seen it. Things like this are the greatest chilul Hashem and undermine emuna in the Torah. If you can trace the fabrication of this segula shtus, what kind of doubt does that create about the divinity of the Torah. Who can say that all of divrei chazal, indeed Tanach, went though the same evolution from folk legends to cannon? I don't know about *all* of divrei Chazal and Tanach. That seems like it doesn't give enough credit to some very smart people. But there is a lot that can be traced to legends and myths from the Sumarians, the Assyrians, the Greeks, etc. If you look at other speeches of hers (Pesach for example) you will see a lot of 'interpretations' like the one you've mentioned, contradictory statements and magical thinking. Unfortunately she is THE speaker these days and friends of mine are absolutely addicted to her version of Judaism. How does this lack of precision and irrationality jive with her having been an accomplished attorney? @Shalom: Not a kashya. Newton wasted half of his life on alchemy. It's always about $$$$$ isn't it? Want to control easily misled people? Want them to do something? Tell them it's a segula for parnassa. Yeah, that's the ticket. After we've put all these people into poverty depending on govt handouts, donations, and begging, they are praying for relief every day, so crank up the segula machine as another false hope that hishtadlut will not save anyone but unconnected rituals will. Please stop calling us smart. Stop saying that Jews are smart. We clearly aren't. How come the food fried in oil custom comes from the (Ashkenazi) ramo, not practiced by sfardim till modern day sfardi imitation of Ashkenazim?